I just want to make it perfectly clear for everyone encase you didn’t notice the series in the title, but this review is for the whole series. So if you don’t want to be spoilt for anything in any of the books and have not read them all, go forth and read then come back here and join me. All you need to know is that I loved this series, it was everything I didn’t know I needed, and it has firmly put contemporary as a go to genre for me. Goodbye I shall see you back here soon! This is probably one of the cutest series I have ever read. This series is all about lobe in all shapes and forms. The relationship love in the books is amazing but it was really the family love that I adored. Lara Jean has such an amazing relationship with her family, and this relationship actually changes and evolves throughout the books which I loved. 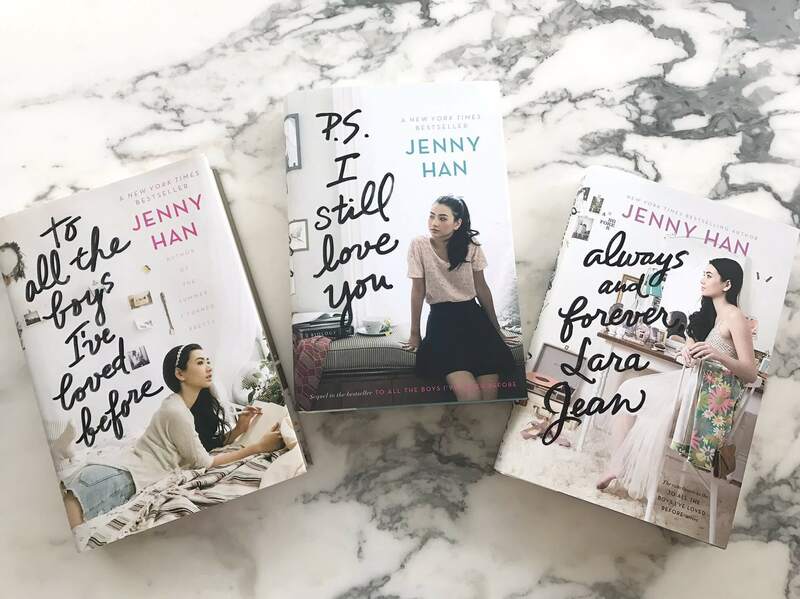 At the start the family is very close nit with Lara Jean being closest with her oldest sister Margo, but with Margo going off to college Lara Jean then has to take over the older sister role for her younger sister Kitty. She wants to be perfect as she sees Margo being, and while she loved Kitty its not easy for her to make this transition, specially when they had more of a standard sibling relationship beforehand. The second Lara Jean and Kitty fight and her letters get sent out I knew straight away that it was Kitty. Specially since we have moments where we know that Kitty goes through her things. 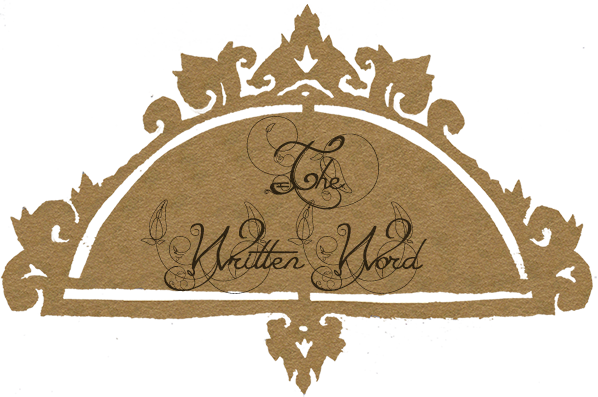 I had the briefest of moments where I thought it might have been Chris who actually sent out the letters, but that faded quickly and I was proved correct with Kitty. By the end of the series though Lara Jean’s and Kitty’s relationship is really heartwarming and loving. We also had development with Margo and Lara Jean because LJ realises that Margo is in fact not actually perfect and Margo finds out that LJ had kissed her ex-boyfriend Josh while she was away at college. They mend this though and are still really close, knowing each other better than before because of these trials and different opinions on things. Then Lara Jean and Kitty help Margo come to better terms with the idea of their dad finally moving on from their mother with a woman they had known for years and lived across the street. I really liked that this woman come into their lives because she was helping Kitty train their dog and Kitty just wanted her around me. That girl is rather meddlesome haha. Most importantly the main subject of the books, the boys that Lara Jean has loved before and her relationship with them. Every time we got to know what she said in those letters and know that the boys actually read them I wanted to die a little inside for her. Especially with John Ambrose McClaren. While her letter to Josh ultimately left it so that they were no longer like family, which really upset me that they lost that relationship I hoped they would go back to how things were, John’s was basically presented as the perfect guy in the book and i loved him and his story arc. I would have been okay with them ending up together, but I am glad that she is with Peter. I loved the whole rollercoaster of their relationship. I love that they pretended to be in a relationship at the start and it slowly starts to morph into something real. I loved that their contract is something that carries on throughout all three of the books too. The part where she ran up and kissed Peter out the the blue to make Josh Jealous was amazing. Their development was very realistic to me even despite the really dramatic events that come up in the course of their relationship. Those things could very well happen. I did think that Lara Jean was probably a little harsh on Peter about some of the things though. However, Peter has moments where he was not my favourite. When he took back that necklace I wanted to smack him. Yes he gave it to her to begin with and she got it back in the end, but it was a gift! Just because you bought it doesn’t mean you get to ask for it back! I think he was also really stupid with the whole Jen (whom I hated) situation. He should have just been honest with Lara Jean about how he was helping her out and meeting up with her, rather than having Lara Jean walk in on them hugging. He was also a bit stupid when it came to her choice of college. Other than those things though, and especially by the 3rd book, he was bloody adorable and so sweet to Lara Jean it was almost sickening. When he picked Kitty up for her birthday with flowers and took her to school in his convertible all by herself, it melted my heart. I also really loved the scene where he helps her bake cupcakes. I also really liked her relationship with Chris. Chris is kind of like a cat that comes and goes as she pleases, but she was such a good friend she convinced Lara Jean to go on a spontaneous trip to check out her college. The whole thing was so cute. It broke my heart in the 3rd book when they had to say goodbye to each other. Even though we didn’t get all whole lot of her in the series, their goodbye when Chris goes to travel is a real goodbye since Chris probably wont come back and she was such an important part of Lara Jeans life. Really I could just keep repeating how cute I think this series is, but I want you to experience it to. So if you have read this review and have yet to do the series, go do it. If you like this that will warm the heart, lots of baking talk, and just contemporary in general I think you will really enjoy this series. I for one, am going to watch the movie right now!